High-performance, easy to use, and budget conscious—all with exceptional imaging capabilities. 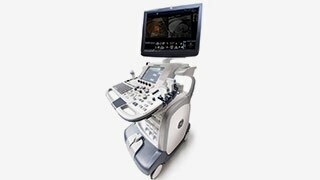 The Vivid™ E9 is a premium level cardiovascular ultrasound consoled utilizing advanced probe technologies to provide 2D and 4D imaging. Advanced analysis and quantification is provided, ranging from speckle-tracking strain (AFI) to 4D Auto LV Analysis. The Vivid E9 incorporates workflow enhancement and ease of use features across all it’s clinical applications. The Vivid S5 and Vivid S6 are small footprint, mobile cardiovascular ultrasound consoles that provide flexible workflow and premium image quality for in-patient and out-patient settings. Coupled with advanced probe design and quantitative analysis, these consoles provide exceptional image quality for cardiac, pediatric, vascular, shared services and point of care applications. The Vivid I and Vivid q are compact, portable cardiovascular scanners incorporating the performance, versatility and freedom to take Vivid quality imaging and analysis where it is needed across in-patient, out-patient and mobile applications. Innovation in image quality and advanced analysis is incorporated in this small footprint, portable unit. 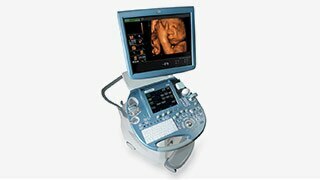 Your sales representative can provide complete specifications on our available GoldSeal Voluson ultrasound systems. GoldSeal refurbished LOGIQ™ ultrasound systems deliver advanced point-of-care imaging across a range of care areas. Affordably. Voluson™ Series imaging systems for Women’s Health. GoldSeal refurbished Voluson ultrasound imaging systems have built-in transducer technology and imaging flexibility to help give you greater diagnostic confidence.